Minimum Age Requirement: 16 Years old. Those under 16 are not allowed. No exceptions. Need to have ArmA 3 installed. Your application will not be processed without a valid Player ID. Teamspeak 3 VoIP Client and working microphone/speakers/headset. You need to hear us, we need to hear you. You will not be allowed to begin initial training without these. Ability to attend our at least one, but preferably both most months, of our unit wide events on the First and Third Sundays of each month at around 1900 (7:00pm) - 2130 (9:30pm) Central Standard Time. 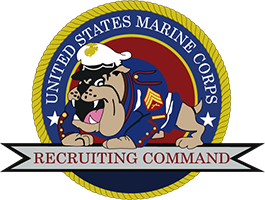 The 15th MEU(SOC) Realism Unit is a volunteer unit. By applying, you are stating that a realism environment is how you want to play ArmA III. What we do here is essentially "role playing" that we are members of the military. When involved in official unit activities, you will play your part. Be you a Private, Lance Corporal , Sergeant, or even a Captain or above; or be you a rifleman, fire team leader, or even a platoon commander or above; you are here because realism in gaming is what you want. If you don't wish to participate in this manner, then this unit is likely not the place for you. 3.) Check the current open billets post for a list of open entry level 'jobs' within the Unit. 4.) Fill out our Application Form. Do it right the first time; our recruiting team will appreciate it and your application can be processed faster. If you cannot fill out the application in it's entirety (missing PID, etc.) then don't submit it. Wait until you have all of the required information please. 5.) Wait patiently. We have real lives, real jobs and real commitments to many other things outside of this Unit. Your application will be processed as quickly possible. Sometimes that is an hour, sometimes it's a few days. Please make sure that you have Private Messaging enabled in your user profile. This helps us contact you when we need to. 6.) If you've done everything correctly up to this point then you should see an "application accepted" message on your application, as well as a private message or two giving you instruction on the next steps to becoming a member. Follow these instructions, ask questions when you need to, and have fun! After you are accepted, you will be appointed a Recruiter to help you through all the processes in the training pipeline. By submitting your application, you understand that you will have to complete the Basic Training Pipeline prior to being able to participate in operations. Reserve: Unable to attend a many Training and Operations. If you feel like you can't commit to additional training after SOI, that's fine - you can request a transfer to the reserve platoon where you can "Fill in" for another unit any time there is an event on, and you want to attend. It's an easy way to stay as a participant, even if not as often as everyone else.